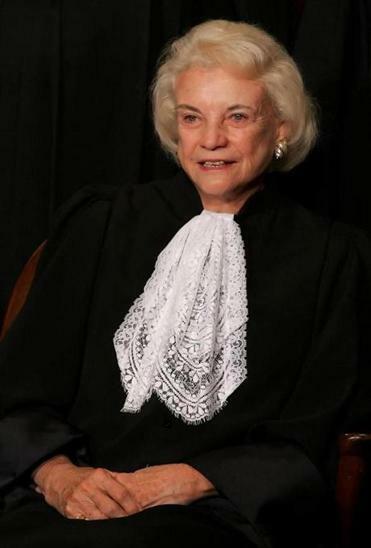 It has been about seven years since Sandra Day O’Connor stepped down from the high court. I confess that, as a diehard liberal, I used to often find myself frustrated by O’Connor’s decisions. Now, though, as I spend my time teaching and writing about the Roberts court, hardly a week goes by that I don’t find myself missing her presence on the bench. O’Connor’s approach to deciding cases was pragmatic more than theoretical. She always wanted to know how the court’s decisions would affect real people in the real world. Her opinions were narrow rather than broad; even if she voted against you in one case, you always knew you might get her vote in the next. Unlike some justices who insist on deciding cases by applying rules regardless of their practical effects, O’Connor was never reluctant to exercise her judgment, which, after all, is the essence of judging. In one chapter, for instance, O’Connor traces the evolution of Supreme Court advocacy from the early 19th century when Daniel Webster could wax eloquent for hours on behalf of his client Dartmouth College to the modern day, where a Supreme Court advocate is lucky to get out two sentences before being interrupted with questions from all sides. Interestingly, O’Connor identifies Chief Justice John Roberts — previously a partner at a major Washington D.C., law firm — as the best court advocate she witnessed during her days on the bench. Since retiring, O’Connor has focused much of her energy on “promoting civics education in our nation’s schools.” “Out of Order’’ would seem to be related to this educational project — it is written not for lawyers or others who already know a lot about what the court does, but rather for those who know a little about the court but would like to know more. For those not familiar with many of the justices who have served over the years, the book will be particularly informative; O’Connor devotes several chapters to describing some of the court’s greats, and even one or two of its not-so-greats. The book is also chock full of trivia — everything from how many justices have died in office to which president nominated the most justices to which justice was most competitive on the basketball court in the court’s gymnasium (answer: It was Byron White, a former college and pro football standout). Also, for those who are looking for insight into the judicial philosophy that sparked O’Connor’s immense contribution to US law for more than a quarter century, this book will provide no help. However, for those who want a brief and accessible history of the nation’s highest court, narrated by a true historical figure and a jurisprudential giant, look no farther.